Searches for “How can I move to Canada?” spiked during the just-finished U.S. presidential election cycle. Since the Vietnam War, Canada has been seen as a beacon of refuge among Americans. However, life in Canada comes with a significant drawback: Canadian winters look like blizzard scenes on Star Wars’ ice planet Hoth. You have far, far more enjoyable, more affordable, and better weather options than the United States’ frosty neighbor to the north. If you’re contemplating changing your latitude but cold isn’t your thing, consider moving south instead. Accessible, affordable, and offering diverse lifestyle options, Mexico is the easiest of all choices for North Americans looking to escape and start over somewhere sunny and warm. Only an hour south of Playa del Carmen, the Mexican seaside town of Tulum is positioned nicely along the path of progress currently moving down Mexico’s Yucatán Peninsula. 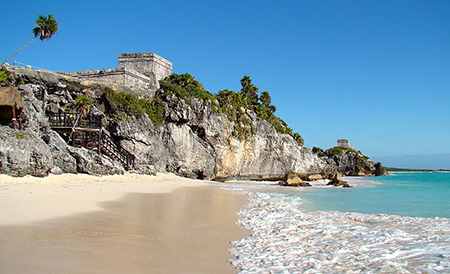 Plenty of pristine beaches, coral reefs, and nearby UNESCO World Heritage Sites will keep visitors coming for years to come, meaning your second home in the sun in Tulum could be a great rental investment, as well. This area is easily among the most exotic and beautiful geographically on earth. Rocky outcroppings punctuate long stretches of white sand and compete with cenotes (crystal-clear swimming and diving pools), tropical jungles, and remnants of Mayan temples for visitor attention. This is a nature-lover’s paradise (and we don’t use that word often or lightly). The lifestyle in Tulum is low-key and casual. Nobody thinks less of you if you decide your favorite pastime is lying on the beach enjoying a couple of cervezas. The more adventurous can go scuba diving, fishing, hiking, surfing, or Mayan ruin exploring. The side streets radiating both southeast and northwest from the highway through Tulum town are disappointing… poorly kept with weeds and rubble alongside mostly sub-standard houses and vacant lots. What gives? Therein exist the investment and business opportunities. Huxley’s impressions are as true today as they were in 1934 when he made them. This little country is strategically unimportant to anyone. No one cares about Belize… heck, some don’t know it exists, or where, exactly, it lies on the world map. For these reasons, Belize is one of the best places on the planet to fly under the radar. In everything from politics and religion to bad roads and generally challenging infrastructure, Belizeans are tolerant. Above and beyond that, Belizeans are fundamentally all about mutual respect and personal freedom. They have little interest in meddling in other people’s affairs big or small. Modern utility infrastructure and information technology are relatively recent arrivals to Belize. Belizeans could easily revert to an off-line, self-sufficient lifestyle if they wanted or needed. If folks in Belize lost access to power, water, and telecommunications for an extended period, they wouldn’t panic. Many might not notice. Few other places in the Western Hemisphere, therefore, might you better be able to remove yourself from the long arm of government than in Cayo, Belize. Far from the coastal locations that Belize is better known for, Cayo is Belize’s lush, mountainous, rain forest interior. Water and sunshine are in abundant supply, meaning it’s easy living here to grow your own fruit, vegetables, and herbs, even to live completely self-sufficiently. Plus, remember, in Belize, everyone speaks English. The Hub of the Americas is warm and sunny year-round, the U.S. dollar is the official currency, and this country boasts thousands of miles of beaches, both Pacific and Caribbean. Panama also offers more than a dozen options for establishing legal residency. Its pensionado visa program is the Gold Standard for retirees, providing discounts on a long list of items from movie tickets, restaurants, and hotels to health care, utilities, and real estate closing costs… and its “Friendly Nations Visa” is both affordable and turnkey if you’re from 1 of the 50 countries designated as “friendly.” This visa even allows for a work permit, should you want one. 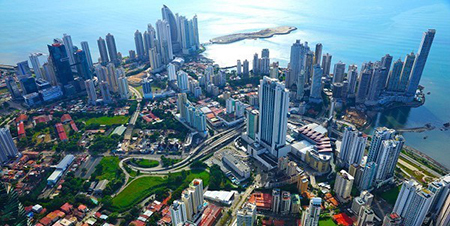 Panama City offers First World infrastructure, international-standard shopping, luxury-standard living, and easy access to the rest of the world. If beaches are more your speed, just an hour from the big-city hustle (and hassle) are miles of beaches, condos, and surfing. Welcome to the Caribbean as it once was, priced as it used to be. 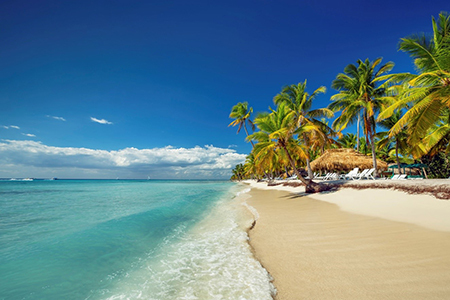 The Dominican Republic offers diverse lifestyle options, most revolving around the sun and the sea. Recent infrastructure changes mean it’s easier and safer than ever to access them. Las Terrenas, one of the country’s most appealing coastal lifestyle choices, may be in the Caribbean, but this beach town has a distinctly European feel. French, German, Polish, Swiss, Italian, Dutch, and British have been moving here since the 1970s. As a result, local store shelves are stocked with things like Swiss cheese, French wine, and German sausages, and pétanque, the French lawn game, is a popular pastime. The Dominican Republic makes establishing residency easy, and the country embraces and rewards (through incentives) foreign investors. Whoever would have guessed that someday it would be Americans wanting to flee their internal politics by escaping to Colombia? Colombia today bears almost no resemblance to Colombia 20 years ago. Pablo Escobar is dead, the FARC are negotiating for peace, and the country has successfully moved on from the challenges and troubles of its recent history. You’re more likely today to be a victim of violent crime in Baltimore, St. Louis, Detroit, or New Orleans than in Medellín, Colombia’s second largest city. 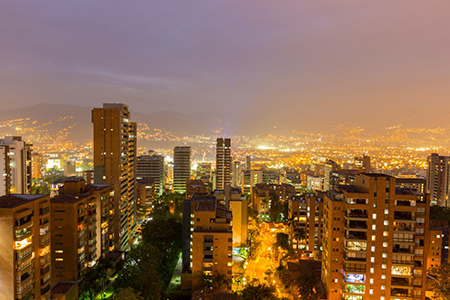 The lifestyle and culture on offer in Medellín are globally competitive. Theater, museums, festivals and fairs, clubs and restaurants, and two professional football teams mean plenty of ways for residents to stay entertained. Residency is easy to obtain, and real estate is a bargain for buyers with U.S. dollars. The dollar is at an historic high versus the Colombian peso, making Colombia’s growing economy even more attractive to American investors. In fact, Portugal, at the heart of the Old World, is our current pick for the world’s best place to retire, period. Portugal is one of the least-known destinations in Europe and one of the Continent’s best-kept secrets. 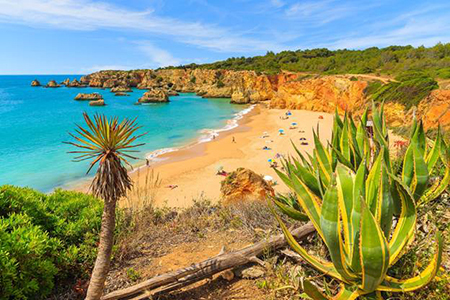 Expats in Portugal enjoy great weather year-round (with 3,300 hours of sunshine every 365 days), stunning landscapes, historic architecture and old towns, some of Europe’s best beaches, and welcoming residency programs. This country is home to hundreds of thousands of mostly European expats, but North Americans are beginning to catch on to the opportunity. Perhaps best of all, the cost of living in Portugal is among the lowest in Western Europe, on average 30% lower than in any other country in the region.